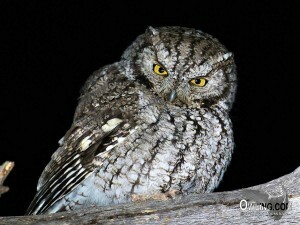 The Whiskered Screech-Owl is similar to the Western Screech-Owl although is slightly smaller. Named for the “whiskers” surrounding its facial disk, these are scarcely visible in the field. As with all owls and particularly the screech-owls of North America, they can only be reliably distinguished in the field by their calls. This owls range only slightly extends into southern Arizona and New Mexico in north America although can be found along the Central American mountain ranges as far south as Nicaragua. This is a “mountain” species that has no range overlap with the Eastern Screech-Owl. 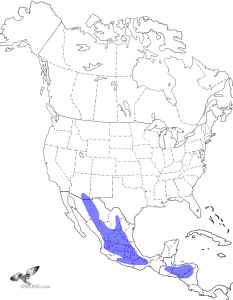 Although it does overlap in range with the Western Screech-Owl it is generally found at higher elevations. 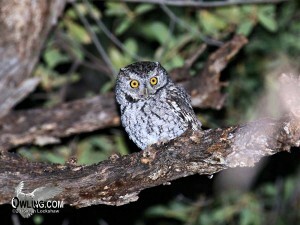 Here you will find photos, recordings and a brief field notes section to help identify and enjoy this beautiful owl. A female owl singing with “descending kew notes” (advertisement call). This owl sat for many hours and called with this beautiful soft song. An alarm call or “bark”. A very excited (male/female) pair of owls singing together. 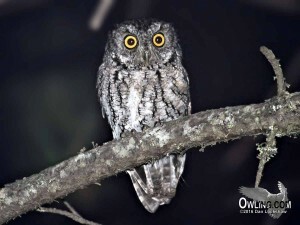 Separation in the field, of the Screech-Owls, is actually only feasible by voice. 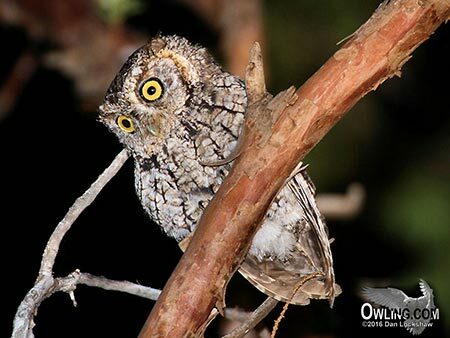 The Whiskered Screech-Owl can be distinguished by its slower more evenly spaced notes in its call in contrast with the Western Screech-Owl’s speeded up “bouncing ball”. 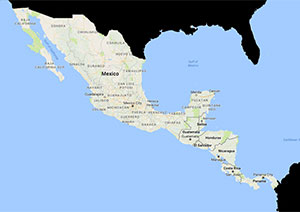 This owl is primarily found in Southern Arizona and Mexico and typically at a higher elevation than Western Screech-Owl. 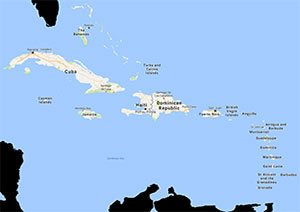 The sexes are alike in appearance although male and female can be distinguished by voice. 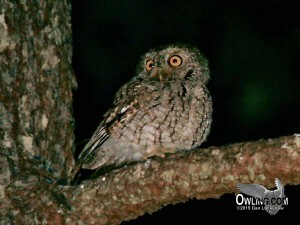 The ear tufts may or may not be visible in the field although are smaller than the Western Screech-Owl’s. 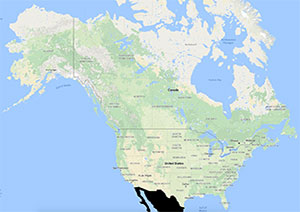 The color of the U.S. (Arizona/NM) birds are generally light gray but become increasingly reddish brown into its southern range in Mexico. The bill is pale grayish yellow or dull green and the iris of the eyes are yellow. Length is 7 1/4″ (about the size of a Bluebird) so it is also smaller than the Western Screech-Owl. (In the hand, a Whiskered Screech-Owl can also be distinguished by its shorter toes and bill along with other minor differences not readily visible in the field.) A nocturnal owl.